yet you protected me, yours was the first smile I tried to seek. all your love, your passion, your hopes you let clearly show. but through the tears and loss your memory is here to stay. a miracle, a wonder and the blessing that is mum. This Sunday is Mother’s day and my mom went home quite a few years ago. She left a legacy, a memory and a hope that my son’s would know without a shadow of a doubt, that inspite of all the ups and downs that life brings, someone would always love them! My wife, my angel, my sons’ protector, helper and shining light, you deserve to know how much you are loved, cherished and valued. Inspite of the many times we sit as parents wondering if our kids are receiving any value at all from us, I am here to say, you are a rock, a safe place, a source of warmth and comfort that sustains our boys and whoever else is yet to come through our lives. Recently there was a video posted advertising the hardest job in the world. Like many I clicked the link in curiosity. Was it to be crab fishing in Alaska, Deep see Tuna catches, president’s, Ceo’s, janitors or Jacob Zuma’s PR guy. Much to my delite the video went through the job requirements. It described no end to the work day, hours on ones feet without a break, often little appreciation, pain and the clincher, no salary. All those shown on the video showed a range of emotions from absolute horror to complete disbelief, until the job title was made clear. As you can expect it was for the position of Mom. My passion and angle of writing has always been fathering, hence the name of the site. I have always maintained that men need to be taught how to be good dads, they need encouragement, they need to learn they need to be purposeful. The lack of this is shown most obviously by the lack of real attentive, present and active Fathers, which in tern, in my opinion, leads to many of the challenges we face as societies. Moms are a different creation though. It seems they tend to take to the role more naturally, they seem to grow up quicker, sacrifice more willingly and frequently and yet their love never fails. It seems that what I hope Fathers can attain, Moms tend to function in naturally. Its almost as if the embodiment of God’s love for us as a Father is most naturally seen amongst people as the love of a Mom. To my amazing wife the beautiful mom of Liam and Zach, you are our family’s embodiment of a love that never fails. Your patience with all of us never runs dry, your kindness flows over us daily, there is no envy of others or boasting or pride. You lift your boys up, always putting them first, inspite of what you sometimes think, your anger is not easily attained. Your book of wrongs stays empty and you always seek the truth and help our boys understand. You are their great protector, the person they can always lean on, the one they can always call on, again and again and again. 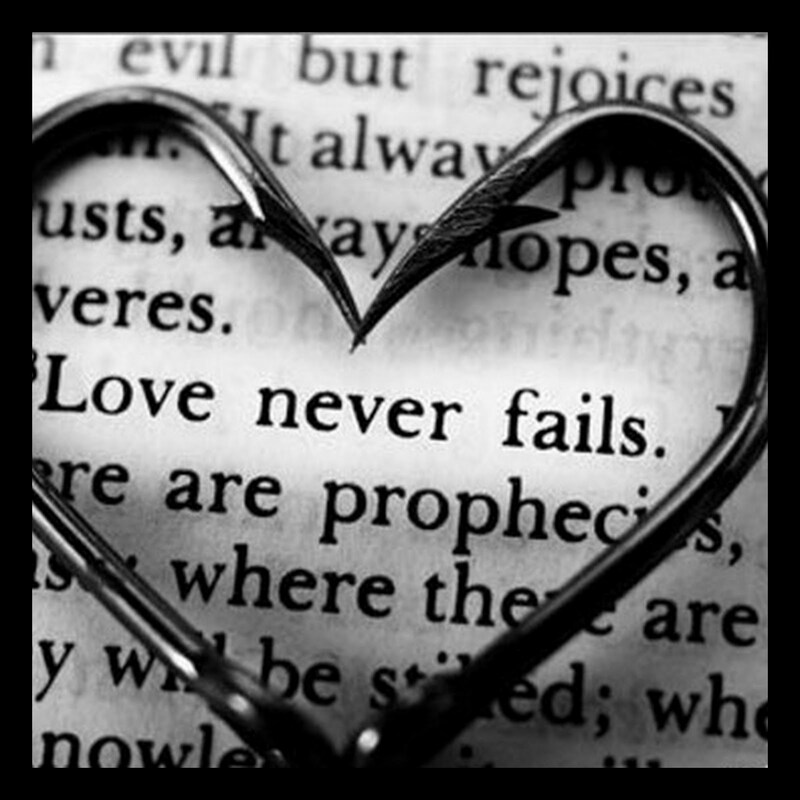 You show them and me that Love never Fails! Thank you. TTM. ← Let’s Worship our children.